This charming cottage residence in a garden setting is a single condominium comprised of two legal units. Upper Level 1 bedroom, 1 bath unit of 678 square feet as per architectural plans, Lower Level studio of 468 square feet (including the storage area off living room) as per architectural plans; buyer to independently verify. Features include a large storage and laundry area and deeded patio. 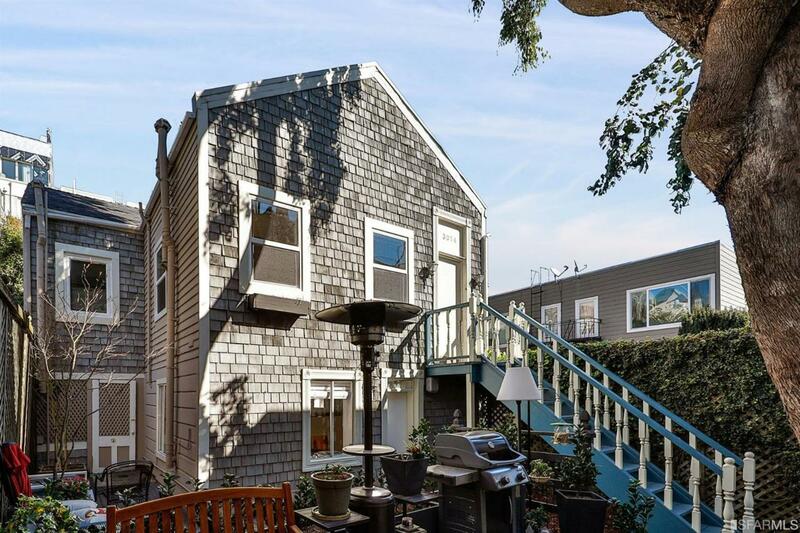 Enjoying a prime Pacific Heights location close to the chic boutiques and dining attractions of Fillmore and Sacramento Streets as well as Alta Plaza Park, this delightful home is a wonderful oasis in one of the City's most desirable residential neighborhoods. Listing provided courtesy of Joel Goodrich of Coldwell Banker.